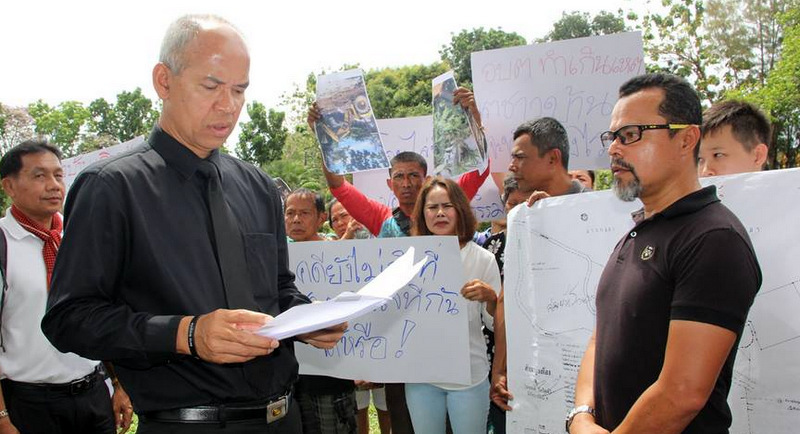 PHUKET: More than 30 operators who had their beachfront businesses at Kamala demolished last week have filed an appeal with the Phuket Provincial Office claiming “injustice” by the Kamala Tambon Administration Organisation (OrBorTor). The buildings were demolished last Tuesday (April 4) reportedly after the OrBorTor posted eviction notices announcing the structures were on public land – one of the points contested by the vendors. (See story here). 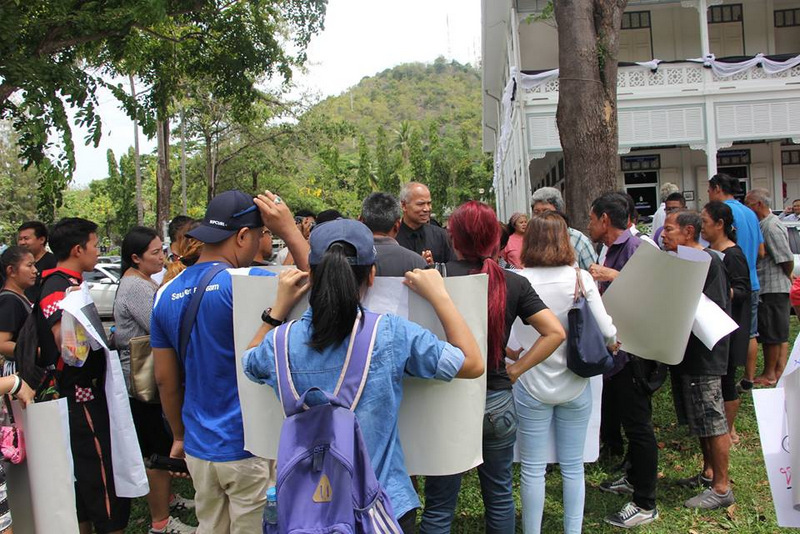 The appeal was filed at the Phuket Provincial Office on Wednesday (April 5) and the vendors were received by Phuket Vice Governor Snith Sriwihok, a process that revealed a long embittered battle for rights to the land. Beating the vendors’ appeal on Wednesday to the punch, Kamala OrBorTor Chief Garun Sriden on Tuesday publicly explained that the demolitions were carried out with permission from the Administrative Court in Nakhon Sri Thammarat (the regional Administrative Court) as the “claimants” had lost their appeal to keep the structures. “The demolitions were carried out as the structures breached the Building Control Act. The deadline had ended,” Mr Garun said. The eviction and demolition notices were originally posted on Aug 3, 2016, he said. Final notices, given vendors seven days to vacate the land, were posted on Feb 24 this year, he added. “In addition, the ‘claimants’ had appealed to the Nakhon Sri Thammarat Administrative Court to postpone the deadline, but the Court denied the request. The court then ordered the Kamala OrBorTor to proceed with posting the notices,” Mr Garun explained. Regarding claims to the land, Mr Garun pointed out, “The 15 structures demolished were on five rai that borders the public park on one side and the beach on the other. The land in dispute is connected to the public park, which covers two rai. “We have been informed that a NorSorLor deed (affirming the land is state land) will be issued in May 2017. “After we have the NorSorLor, the Kamala OrBorTor will discuss what remedies can be offered to the people affected,” he said. 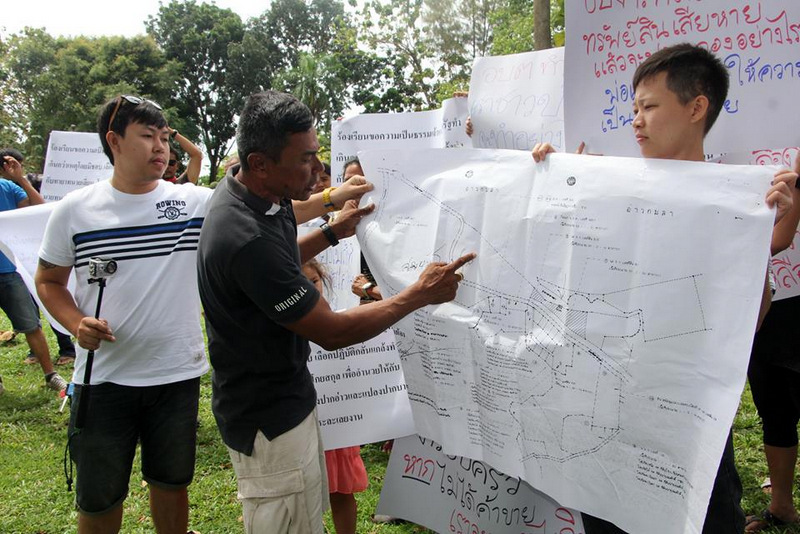 Regardless, Watchara Goaisakun, representing the vendors on Wednesday, regurgitated that he and other “villagers” had inherited the land from their forefather Lean Goisakun. “The OrBorTor said they were demolishing our shops because they were on public land, but the land was acquired a long time ago and has a legally issued SorKor 1 land document, No 321, for Moo 3, Kamala,” he said. “We did not obstruct the demolitions because we accept the court judgement regarding the breach of the Building Control Act, but we seek justice as the Kamala OrBorTor did not listen to pleas and did not notify us with any document concerning the land,” he said. “The land in dispute is being heard in the court. I also want to ask why other buildings nearby were not demolished,” Mr Watchara added. 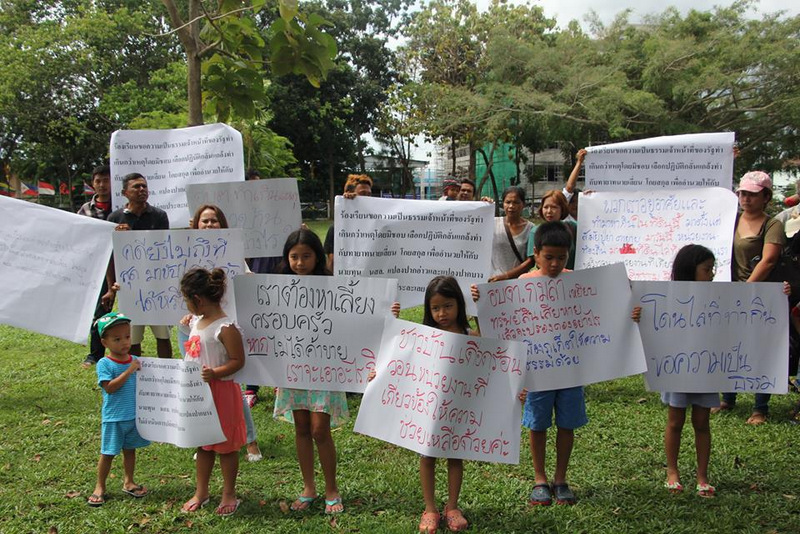 Thai people love to encroach on Government land and then fight tooth and nail for what they believe is their right to stay there because they want to make money from foreigners. Its about time the pathetic excuse for a government made it a criminal offense to encroach on anyones land. But they won't because they are and have always been, a weak government. Twisting, zigzagging, swerving as ever. Never want to understand and respect the law. Not even hesitating to use children for that purpose. Pathetic. Trying to magic a rabbit out of the hat. hahahaha.